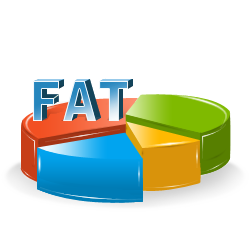 Windows FAT Data Recovery Software is specifically designed to rescue the entire missing files and folders from hard disk drive partitioned on FAT16 and FAT32 file system. File salvage utility provides recovery of lost music file collections, picture folders, and important text files from inaccessible hard disk drives. Software facilitates file recovery in all major data loss cases such as human faults, un-expected system shutdown, power failure, virus, formatted disk, logically damaged drives and many more. Recovers files and folders deleted from Recycle Bin. Restores data deleted using Shift+del keys. 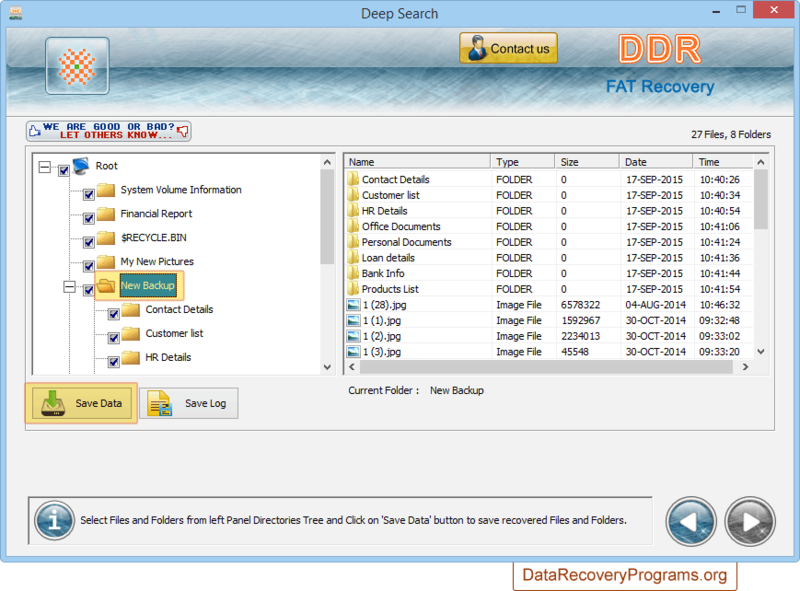 Revives lost data from formatted, logically damaged or corrupted MBR files of hard disk. 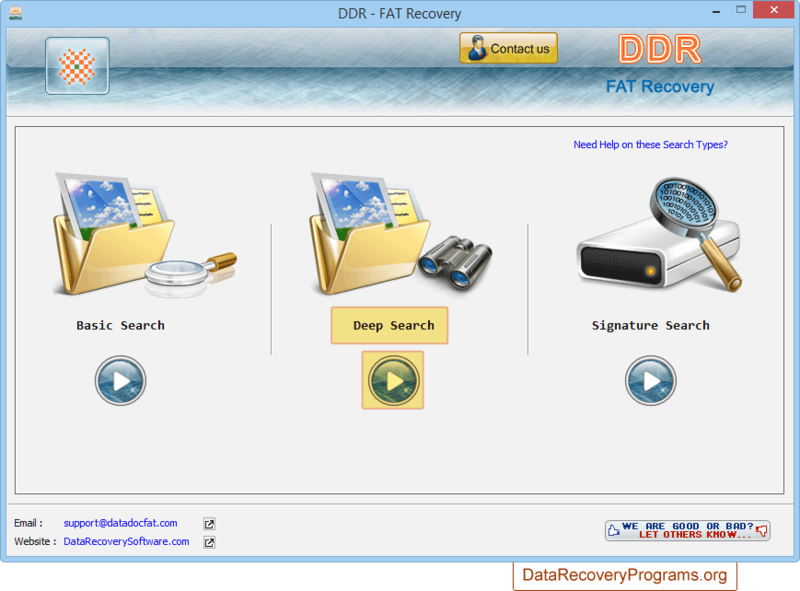 Recovers all digital photos, song folders, movie clips, text files from Windows hard disk. 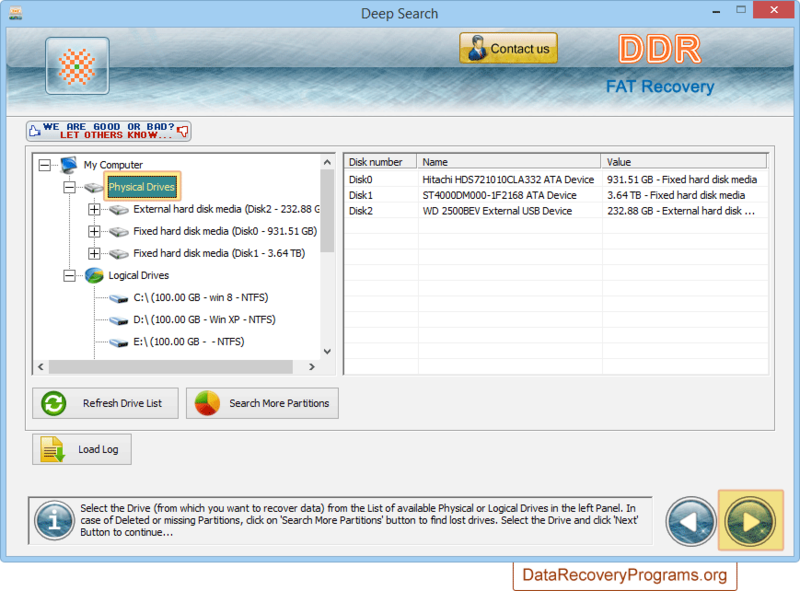 Works with FAT 16 and FAT 32 hard disk file system partitions. Supports well-known hard disk brands like HP, Dell, Western Digital, Maxell, Seagate etc. Software supports all hard disk types like SATA, IDE, EIDE, ATA and SCSI. Software has three searching modes, choose any one mode according to your requirement. Select drive from left panel and go to next screen. Disk scanning process is in progress. Above screen displays the running status of disk scanning process. Data is recovered successfully. To save recovered data, select data folders and click on 'Save Data' option.